Adapted from A Century of Leadership and Service: A Centennial History of the University of Northern Iowa, Volume II, 1995, by William C. Lang, Ph.D. and Daryl Pendergraft, Ph.D., pp. 459-461. Additional historical information and photographs provided by University of Northern Iowa Marketing and Public Relations. In July, 1968, UNI President James W. Maucker discussed with the Faculty Senate the concept of developing a center for the study of minority group education in Waterloo. He explained that such a center would "give visible expression of UNI's involvement" in urban, minority group educational problems. It could also provide opportunity "for UNI staff and students to be exposed to a black community," promote "education in general, and... [for] counseling and recruitment of disadvantaged youth... ." Such a center could "offer courses for college credit, community classes... including possibly, basic general education for adults," and "be a place where UNI students and staff could be involved in tutoring disadvantaged children and youth." He visualized the facility could provide "a site in which teacher education students... could work with black children," include a "bookstore emphasizing Afro-American culture... " and "serve as a laboratory for students specializing in the teaching of socially, politically, and economically deprived groups." The University's Faculty Senate approved the proposal and President Maucker placed the item on the Iowa Board of Regents docket for its July meeting, but the Regents took no action. Six months later (February, 1969), President Maucker asked for Iowa Board of Regents action on a specific recommendation to establish an urban center of the University in Waterloo. He pointed out that a house on Vine Street, scheduled to be demolished as part of an urban renewal project, would be available for a year or more at a very nominal rental. Both the Committee on University Responsibility in Minority Education and the Faculty Senate had approved establishing a center. One Board member doubted that the $37,000 budget Maucker proposed would be adequate and suggested it might be "only a beginning of [much greater] expenditure for this venture." Maucker replied the budget suggested would suffice "to start the program" and emphasized there would be efforts to secure a federal grant. "This project is one of high priority," Maucker told the Regents who then unanimously approved the proposal. In December, 1968, the President had already authorized the Coordinator of Minority Group Education, Thomas Ryan, to work with a subcommittee of COURIMGE to employ a director for the center as quickly as possible. The first person the subcommittee recommended, and the man finally appointed as first director of the UNICUE was Henry Johnson, a black psychologist for the Black Hawk County schools. Johnson held a master's degree and had two years of experience. 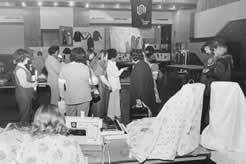 He began working part-time from March through June, 1969, to familiarize himself with the task and became full-time on July 1, 1969, the date the Waterloo center was scheduled to open. Meanwhile, UNI's Executive Dean Pendergraft had submitted an application for a federal grant and received one for $40,000, which more than doubled the center's budget and enabled the Director to employ additional staff. President Maucker was happy to report to the Board in June, 1969, "The sun has finally begun to shine on our efforts to establish a center for Minority Group Education." 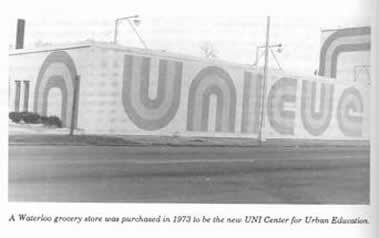 With the opening of the fall semester 1969, the center, now known as UNI-CUE (University of Northern Iowa Center for Urban Education), was in operation. UNI Faculty offered two adult evening credit classes, school drop-outs were being counseled, disadvantaged students with academic promise received advice about going to college, and those not interested in college were being counseled to enroll at Hawkeye Institute of Technology. University students transported by University buses to UNI-CUE began to tutor junior and senior high school students: The center in Waterloo had little in common with the Chicago Center for Inner-City Studies or any other inner-city centers. In almost every undertaking, Director Henry Johnson had no model to emulate. He had to employ a staff, purchase supplies and equipment, and work out cooperative relationships with the Waterloo Schools and with Hawkeye Institute of Technology. It fell to Johnson to explain the work of the UNI-CUE and to counsel with University staff on all phases of the minority group education program. UNI-CUE's initial building did not lend itself easily to some of the functions originally established for the center. Nonetheless, Johnson, along with a competent staff of John Strother, Virginia Hollins, and Ray Richardson inaugurated all the services already listed. In March 1971, Benedict Harris, Director of Education Opportunities and Special Community Services (EOP/SCS) at UNI, announced the appointment of Norris G. Hart, an Afro-American, as his assistant and director of UNI-CUE. He replaced Henry Johnson who had accepted a position in the fall of 1970 at Michigan State University. Director Hart, a graduate of Huston-Tillotson College in Austin, Texas, and holder of a master's degree from Syracuse University, had also done additional study at five universities. He would be responsible for the "development and administration of the UNI-CUE, emphasizing the preparation of UNI's teacher-education students and increasing "educational opportunities of... residents of Waterloo." The University's fall course offerings in 1971 at the UNI-CUE emphasized these objectives. Twelve courses were offered, including Fundamentals of Writing and Speaking, Retailing, Real Estate, the Black in American History, Mathematics, Story Telling, and Creative Dramatics.In spite of special efforts by Hart and others to meet the objectives of the Center, the inadequate facilities, as well as understandable skepticism of inner-city residents of the intentions of those associated with UNI-CUE, made progress slow. Nonetheless, staff and faculty continued the arduous and sometimes discouraging task of teaching, counseling, tutoring, and seeking to "build trust in higher education." As Director Hart pointed out, there were "a lot of people leery of education; it had a bad reputation." Those who "received higher education are looked upon with suspicion." One of the real tests of the University's commitment to the goals of the UNI-CUE came with the need for new quarters. The time for razing the existing facility grew closer. Indeed, the UNI-CUE building was the last used of any of the houses in the renewal area. A special impetus to the acquisition of a new facility came in February, 1973, when Jackson Baty, UNI Instructor in Education, and his wife presented a check for $8,000.00 to the University of Northern Iowa's Foundation to assist in "the acquisition of a new building" for the UNI-CUE. The donors made the gift in memory of his father, E.N. Baty of Osage, Iowa, formerly a newspaper publisher in that city and a founder of the Cresco Publishing Company. In accepting the gift, UNI's new President, John J. Kamerick, not only expressed the profound thanks of the University but also the hope that it would "inspire others" to give to the Center. The task of finding new facilities presented a difficult challenge to Hart and his associates. "For three years," he reported, "we walked the streets" looking for a "new home. When a grocery store at 715 East Fourth Street closed its doors, the fulfillment of their hopes seemed at hand. However, the $200,000 price for purchase far exceeded anticipated resources. Hart and others went to Chicago to meet with the owners. "We sold them our program," he said, and the owners agreed to sell for $50,000. In November, 1973, the Board of Regents approved a request from the University for over $127,000 to remodel the structure and prepare it for use. On August 27, 1974, Governor Robert Ray came to Waterloo to deliver the dedicatory address. He believed "... this Center would convert dropouts to stopouts." He found the work done by the UNI-CUE and its increased services available with the new quarters, "very exciting." The dedication of the structure served to emphasize the commitment to blacks and whites alike of the University to the multiple services already available and the fulfillment of plans for expanded service. As Mary Berdell, a black, blind City Council member from the inner-city, declared at the ceremony, "There were those who said it will never be done and yet, here it is." She added, "UNI-CUE has already given to this community a great deal, and it will give more." In the month after the dedication of the "new" structure, the Black Hawk County chapter of the National Association for the Advancement of Colored People and the Iowa State Employment Service presented to Norris Hart, Director of EOP/SCS, and to Vice President James Martin an "Employment Through Education Award." Anna Marie Weems of Waterloo, in presenting the citation, declared that the education for employment received at UNI-CUE "is a long lasting thing." She added, "With [the Center] in the neighborhood, minorities can receive an education and become more stable in a better job." Where the fIrst building housing the UNI-CUE served about fifty people, the new structure made it possible to serve seven times that many. The original goal to attract students to do college-level work persisted. 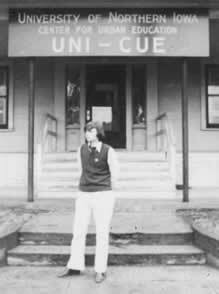 In fact, in the late 70s, UNI faculty members began offering graduate level courses at the UNI-CUE. Scores of UNI students tutored the disadvantaged or those with learning difficulties. Upward Bound sought "to place into college, high school students from low income backgrounds" who demonstrated the" academic potential to attend college. " Head Start served children three to five years old "from economically disadvantaged homes." It provided children "with experiences they otherwise would not encounter and prepared them for long-lasting learning." Educational Talent Search sought to encourage students to "continue and graduate from high school" and then "enroll in a post-secondary education institution." The persistent and dedicated efforts of concerned administrators, faculty, and citizens to establish an urban center offering multiple services to residents of the inner-city and elsewhere in a time of significant racial stress in 1969 had succeeded in spite of the pessimism of the time and an attitude approaching rejection of colleges and universities nationwide. The UNI-CUE was founded as the only program of its kind in the state with the clear goal of providing educational programs to Waterloo and the surrounding communities. 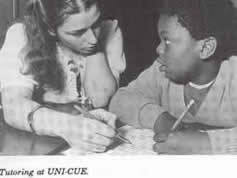 Beginning in its earliest years, UNI-CUE services included an early childhood education program; a tutorial program for children ages 6 to 11; university courses designed primarily for non-traditional students; and community service projects that included workshops and special interest classes. By 1977, services included providing children with the basic skills of communication – reading, writing, speaking, and listening – and innovative early childhood programming, such as teaching three-year-olds to type. The Educational Opportunity Center is an academic counseling program, which promotes post-secondary education in communities with large populations of low-income, first-generation adults who are often unaware of educational and career opportunities. The Educational Talent Search Program is a college preparatory program co-funded by the U.S. Department of Education and UNI; iIt is designed to empower program participants with the academic skills and motivation necessary to be successful in high school and to ultimately complete college. The Classic Upward Bound Program develops collaborative relationships with students, parents, schools, and the community and provides services and support to enhance the academic skills and motivation of low income and first-generation students in order to complete high school, enter a post-secondary institution, and ultimately obtain at least a Baccalaureate degree. 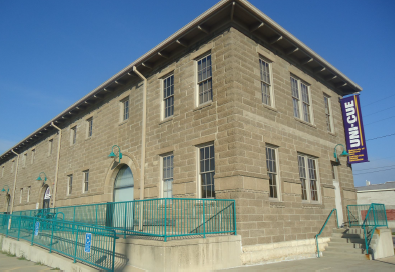 In April 2001, the Iowa Board of Regents approved a ten-year lease agreement with the City of Waterloo for $72,000 a year, allowing the UNI-CUE to move to new offices at 800 Sycamore Street in November 2001. The UNI-CUE provides a positive environment for lifetime learning. Its staff embrace the concept of continuing and part-time education and collaborate with the University and the City of Waterloo to match resources with the community's needs. In doing so, the UNI-CUE continues the original mission established by its founders... to "develop relevant educational programs to alleviate inequalities of educational opportunities in the urban environment, improve communications, and make university resources accesible to the community." 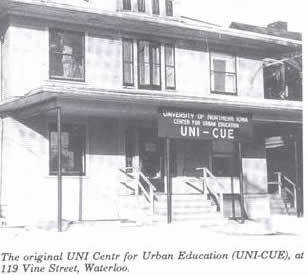 UNI-CUE is currenly located in downtown Waterloo next to the Cedar river.